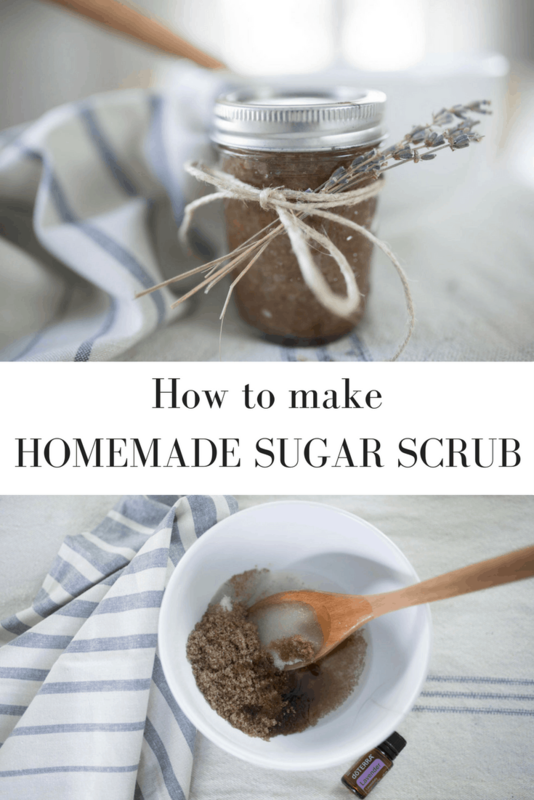 Learn how to make homemade sugar scrub with relaxing lavender essential oil and all natural ingredients. 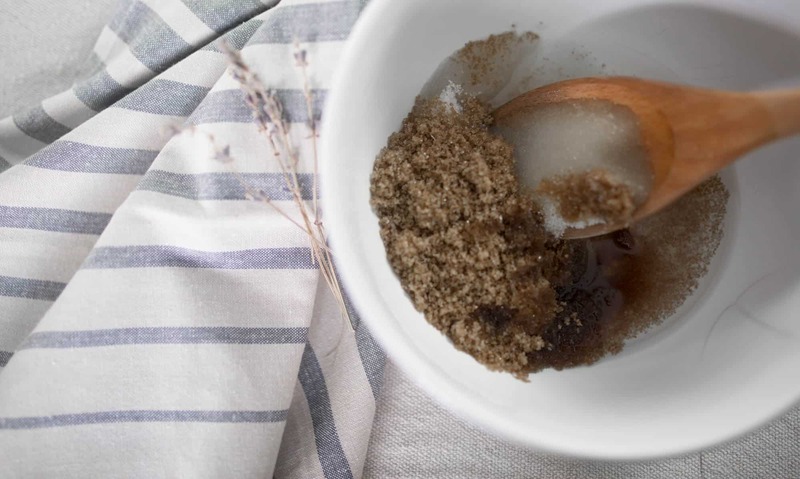 See how simple it is to make homemade sugar scrub. 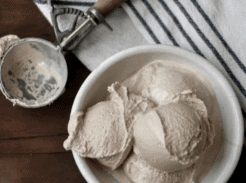 This recipe uses only natural ingredients, like lavender essential oil and coconut oil. Sugar scrubs are nourishing to skin and exfoliating. 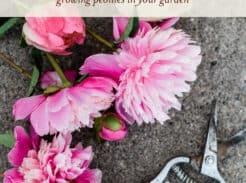 They can be used as a hand scrub or on the whole body in a relaxing bath. I love the idea of a handmade Christmas. Usually it turns more into merely an idea, rather than the reality. Not this year. I had the idea to make handmade Christmas gift baskets, with all Farmhouse on Boone tutorials. I mentioned the idea in my Facebook page and people were really excited to do the same for loved ones on their Christmas list. 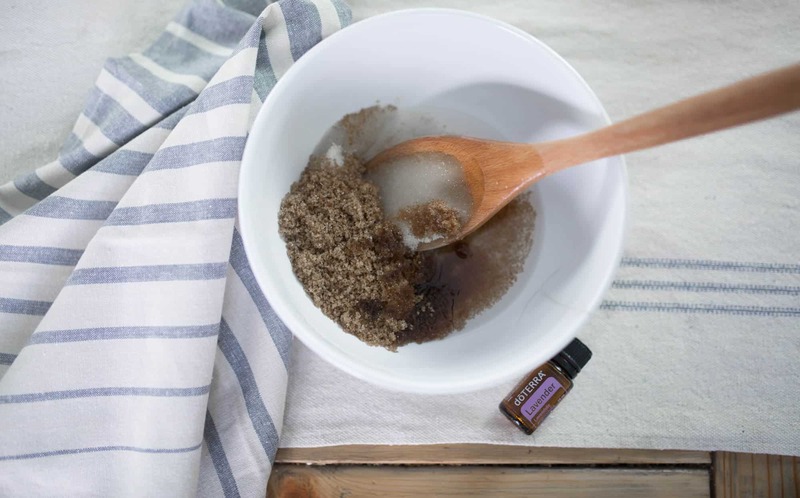 The baskets will include hand poured beeswax candles, homemade vanilla extract, and this sugar scrub recipe. There will be printables, ribbons and all kinds of pretty things. Stay tuned for the post and video on the basket assembly! 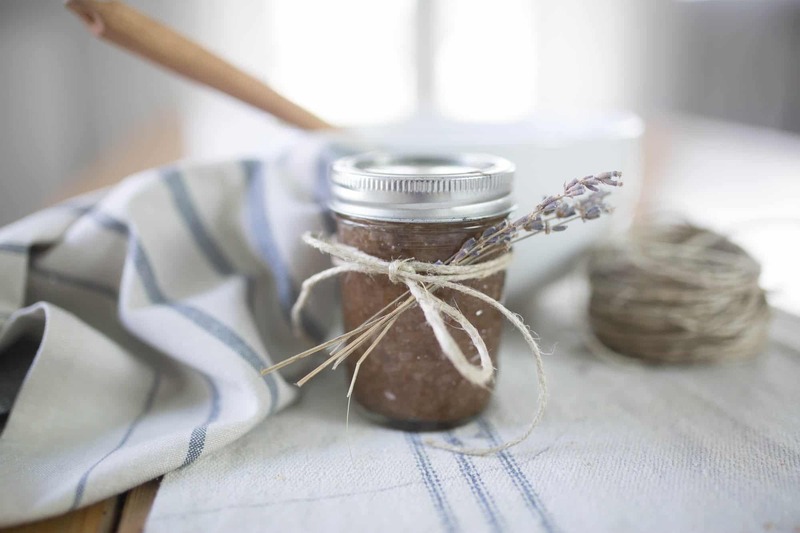 One recipe makes a half pint mason jar of homemade sugar scrub. Stir the sugars and coconut oil all together. Add in 10 drop of essential oil. I used lavender to make a relaxing sugar scrub. 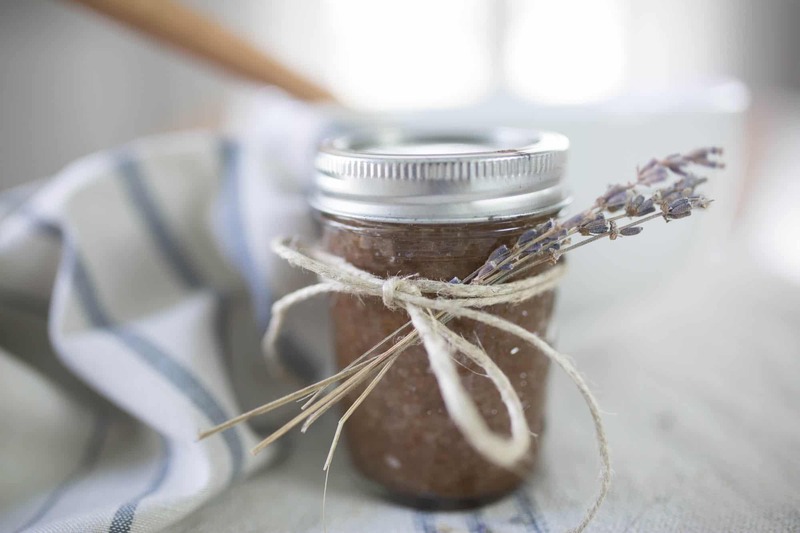 Use peppermint for an exfoliating homemade sugar scrub that is more invigorating. Other great choices are blends, like citrus bliss or onguard. 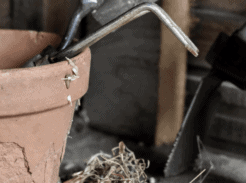 Package it up with a little twine and some dried lavender sprigs or greenery. It would also look nice with a sprig of fresh rosemary, pine greenery or a cinnamon stick. If you are interested in making handmade Christmas gift baskets with me, stay tuned for the basket assembly! 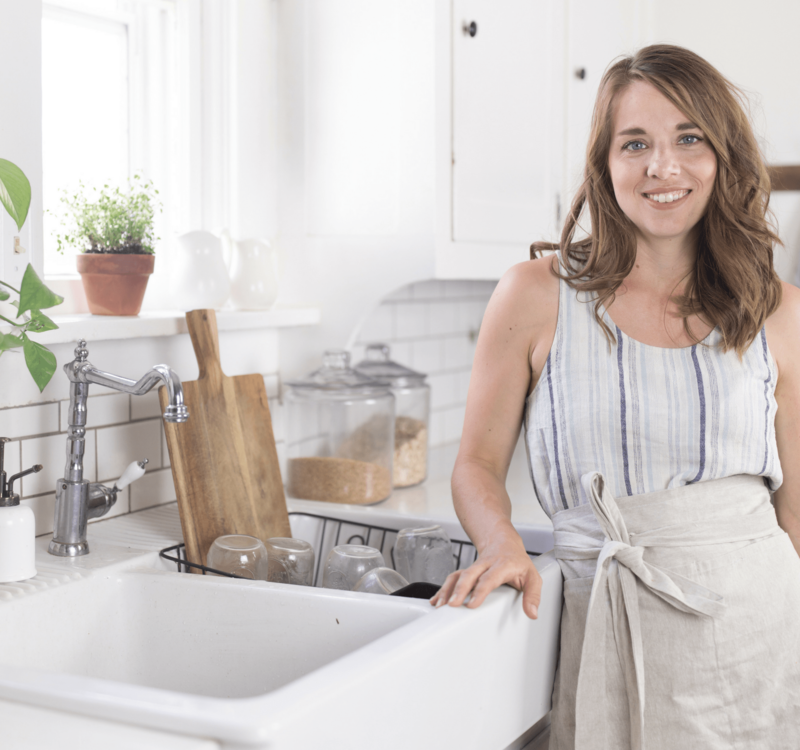 Don’t forget to sign up for my newsletter or follow me on Facebook to stay in the know on all the projects going on in the farmhouse! I just saw all the links to this! Thank you for making it so easy for me to make your beautiful handmade Christmas gifts! So excited to see it all out together! Question: how long is the sugar scrub good for? Thank you soooo much, Lisa!! I love your blog! It’s a sweet place to stop by!!! !